Don Mancini is rumored to be directing Cult of Chucky (2017) from a script he has written for the new Chucky film. Continuing the story with Nica (Fiona Dourif) and tying back to the original child who Chucky terrorized Andy Barclay (Alex Vincent), this new installment in the Chucky franchise looks to act as the glue in the Chucky movies while propelling the story further. Fiona Dourif, Jennifer Tilly, and Brad Dourif star in Cult of Chucky. After accused of murdering her family, Nica is taken to an asylum and thinks that she's the cause of the deaths of her family. However, when grisly deaths start to occur, she then realizes that Chucky, her illusion might not be make believe. 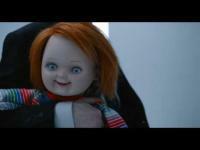 She also finds out that the doll is slowly starting to possess anyone or anything to join a huge cult to kill off Chucky's victims, but things don't go to well in the asylum, including for Chucky's long lost friend, Andy, who tries to stop the cult from getting bigger while also trying to get past Chucky's wife, "Tiffany."